Mobile applications are infiltrating each industry. There is a huge weight on couples for a wedding festivity to be as large as one can manage. Professional wedding planners are a twentieth-century marvel to make the wedding experience of their customer unique and making the arrangements as simple as they can for their customers with the help of a mobile application. Today, it appears as though there is an application for everything. You must stay in touch with emerging trends in technology. In the current scenario, there is a lot of potential present in this commercial segment. 1. Why You Should Consider a Mobile Application For Your Business? These days there is a mobile application accessible for everything or reason. A wedding planning application, mainly to manage and develop an interface for customers and planners can be a significant step. A mobile app can be astounding to deal with the preparations in a less demanding, quicker and furthermore better way. Technologies are transforming the wedding process and the wedding planning business entirely. Circumstances are enormously different; nowadays all you need is making a check on the web or install an application to discover many proposals and thoughts from the whole way across the globe. Brides of the centuries don’t go online just to search for ideas. They really perform a large number of genuine errands online. Development of wedding planning applications is one of the new emerging trends. Every now or then you will discover new applications on Google Play Store and Apple App Store. You should be somebody who is excited about facilitating up the lives of brides and grooms far and wide by way of an application. 2. How Should You Begin With It? After you have decided to develop a wedding application, the first thought that will come to mind is how you should begin with it? First, you require analysis and research about market trends and opportunities. Understand your target audience. Know who will they be, what will be the things managed by your app, etc. One must understand the cost of developing the app which depends on its design, features, functions, etc. Finally, it’s time to move to the creation phase. 3. What Is The Use Of a Wedding Planning App? Has it occurred to you that why there is a need for such an application or is it that tough to manage the errands of a wedding ceremony? Is wedding one-day affair? No, it is a set of planning processes that turn that day into a huge success. Weddings are supposed to be great!!! On the other hand, the point of fact is that they are debilitating also. Like, there is such a great need to design, to be dealt with, that frequently the entire wedding planning process ends up riotous. To be sure that they remain excellent nowadays brides and grooms are taking help of wedding planners. These days a wedding planning business requires to Hire Mobile App Developer who can build a mobile application that fills in as a beneficial course for you to empower your clients to pick a venue for their wedding and perform other in-built or custom based features. One must keep in mind that keeping track of everything is an overwhelming task. That’s where the wedding planner comes into the picture and can be of great help. But there are some tasks which require other people as well as the bride and groom to work on toes for the big day. Therefore, developing a wedding planning app is an excellent idea. It allows the wedding planners to be more available to their customers. 4. What Are The Different Types Of Wedding App? Any great wedding function or unique event can’t meet its expectations without proper planning. Planning must be done way ahead of time. Everyone needs an accomplice who provides help and quality guidance in this big time. Thus, planning apps provide with a wedding planner who guides and plans the big day events. Prospective wedded couples stay very excited for the remaining time. As the wedding day comes near, the excitement of the bride and groom increases and in such a countdown situation the users can connect with countdown application. This app helps the bride and groom to keep track of the number of days or hours or minutes left for their wedding. Application users will dependably know about the wedding cores, cards to say thanks and ring-conveyor pad, etc. These applications are way too simple to use with very mind-boggling plan and usefulness. There is ample chance of last-minute glitches while inviting guests for weddings like confusion in the names of the guests, etc. these lead to chaos. Guest list apps states listed guests and have a feature to divide them into categories. It saves a lot of precious time with this app as all the data is stored and saved at one particular place. It is one of the most popular, and it is free with several useful features. One can search for a wedding venue (the app focuses on the UK). The app comprises of planning tools, the ability to create a guest list, the ability to create a wedding gift list, list of suppliers, manage a budget, etc. It is a famous and free app with both Android and iOS versions. The app offers to create checklists, custom wedding plans, etc. Social integration, payment tracking, creating a summary of spending, coordination with supply vendors and premium account messaging are few features of the app. This app offers countdown-tracker, planning tools, sending invitation facility to guests, messaging feature, etc. This app is free of cost and has both Android and iOS versions. This is a free app and has both Android and iOS versions. It offers many useful features like a to-do list, organizing supply providers, making notes, keeping track of invitations, seating arrangements, budget, etc. The app has both iOS and Android versions. This app enables users to search for venues, list of wedding supply providers, managing guests, and gifts, create a customized wedding plan, checklist feature, etc. This feature manages the content of the page and improvises them which includes managing the contact us, FAQs, privacy guidelines, wedding ideas page, about us, etc. pages of the mobile application. This feature is vital for the customer care department. It facilitates them to handle customers efficiently and smoothly. This helps the admin to view and manage all the business-related activities taking place in the application. Like people who downloaded the app, offers & discounts, e-commerce purchases, etc. This feature helps in sending pop up messages to the user. It works as a task reminder for wedding planning. It avoids delays and ensures time management. This feature helps the user, supplier, vendor, etc. in making and receiving payments. Integrate payment options such as PayPal, Stripe, Credit cards, Debit cards, etc. with a multi-currency mode. This feature helps in communicating with the event managers, planners, suppliers or vendors, etc. It helps in motivating and engaging the user to use the application. This feature helps in sharing wedding ideas, event theme ideas, makeup tutorials, hairstyle, attire, etc. in the same platform and making it helpful for the user. This feature helps in sharing images and videos of the events, venues, designs, etc. and the users can share it with the other users or groups as well. The feature of automated chat support with the right use of technology helps in motivating and engaging users to use the application. With this feature, the admin, user, wedding event planner, supplier will be able to share images, details, etc. Writing blogs is another way to allure the audience to convey and share with the audience the various ideas regarding venues, designs, etc. This feature allows users to do wedding related shopping. It provides user engagement as the user can use a single platform for various tasks. This feature allows filtering the search for the venue, design, etc. further cutting the search down or refining it as per the users’ liking, budget, and requirement. This feature allows the users to rate and give reviews for the various services offered on the app. It further helps the prospective users to read the previously published experiences and install the application. 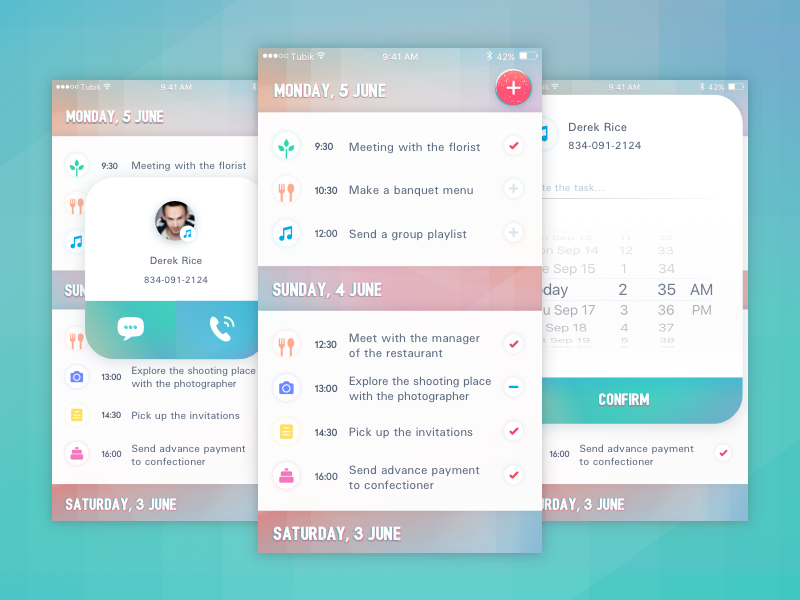 The users can set reminders in this feature for all the meetings and tasks will be completed on time. This feature plays an essential role in destination weddings. The people can communicate fluently with the vendors and merchants for smooth execution, and it also allows the users to avail services in every region. This feature enhances the engagement of users by way of discounts or offers. A mobile app for wedding planning saves both time and energy. The customers can choose the designs, venue, create guests list, etc. in a much easier way. The app helps the wedding planners to reach way beyond lock boundaries, enhancing their visibility and extending and this helps in earning good revenues in the long run. The offline feature helps to develop a long-term relationship with the customers as they can use the app even in the areas where the internet or Wi-Fi is not available. Through the application, the user and planner connectivity will enhance. The wedding organizers can send pop-up messages to their clients, concerning most recent offers and discounts. A mobile app is developed to increase customer engagement which means it a System of Engagement (SoE), as everyone knows that all software and apps undergo continuous enhancements, which is the prime characteristic of SoE. It will require an iterative and immersive development methodology and the typical old methods are not effective anymore. 10. What Your App Must Have? Selection of venue is the foremost important thing for the customer. Once the place is decided things will undoubtedly start to fall in the right direction. This feature can help the customers and save ample of time and energy. The list of prospective locations with their images will help the customer to find the right venue. Further, the customers can check the place according to their budget, availability, location, etc. This feature will help in management and keeping track of the appointments. The notification or pop-up facility will facilitate by reminding the customers of the schedule or the plan. You can set up a registry feature for listing all the items or things that the customer requires which can be used by the families and friends who are invited to the wedding for selection of their gifts. It also facilitates in promoting the app. You can even tie-up with local businesses which can provide you offer and discounts, and you can earn a commission. The app can work as a third party connection between vendors and customers. It will enhance and help in smooth functioning, and the customers will be more satisfied. Creation of guest list keeping in mind the other necessary things like which guest is getting a +1 invitation, etc. further dividing the guests into categories will help the bride and groom. It can be used for managing the seating arrangement as well. Clients have a different range of budget, so providing filters on venues, designs, vendors, etc. will help the customers to search for what they require in less time and efficiently. It will be of great help while planning further steps. Mobile app development company can assist you in launching the application quickly with their pre-developed prototypes. But if you want customized features, then you will have to go for custom development. Setting-up wedding supplies vendors: One angle is the coordination with the wedding supplies vendors. The inquiry in this section is the place where the app is to be launched. According to the demographical area, the developer will need to contact providers and further manually integrate their APIs in the app. APIs for wedding event management: You need to address all your planning aspects. This section also helps in time management for the big day. Customized checklist: An ideal wedding planning app should have a feature of the creation of a checklist and further have a sharing option as well. 17. How Much Does Building a Wedding Planning App Cost? One can take an estimate of the development cost of a wedding app by the amount of time invested, technologies integrated, features installed, etc. As a mobile application company quote’s price that is based on hours involved in developing the app. The estimated cost to create a wedding planning app can be high based on the technologies integrated or the additional features integrated. The estimated cost may vary from somewhere around $10,000-$30,000 for a single platform and $45,000 for both platform versions. If you are a wedding planner and you don’t have a mobile app for your business yet, then you should consider this right now. Weddings are happening every month which means there is ample business to generate revenue from, and everything you should know and must be aware of is mentioned above. All you need to do is decide the key features and the type of your app and get in touch with an App Development company to get started with your app development.